Our team at TeamWork Systems can set up full, incremental and differential backup service for your business systems on an hourly, daily, weekly or monthly basis. When you have important data on your networked machines and servers you cannot afford to lose any data, therefore it is vital that a backup service is in place to protect you, your staff and customers. TeamWork Systems monitor the backup service 24/7 365 days a year, to make sure the backup is successful at every time. A full backup is a complete backup of all files, folders and any other data. The Full Backup option is best to use for first time backup as it is resource intensive and requires a lot of storage space.The advantage of full backup is restoring is much faster and easier as the complete list of files are stored each time. Incremental backup is a backup of all changes made since the last backup. With incremental backups, one full backup is done first and any incremental backups are just the changes made since the last backup. The result is a much faster backup then a full backup for each backup run. Storage space used is much less than a full backup. It is recommended to backup all your data every day, however depending on your requirements and needs this could be hourly, daily, weekly or monthly. Our team of consultants will be able to advise you on the best course of action depending on your business requirements and needs. 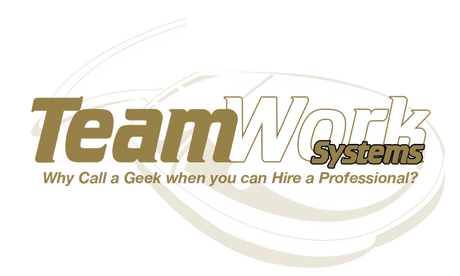 At TeamWorks Systems in Naples, FL we have specialist hardware and software that monitors your backups and confirms that it has been done correctly every time. We will know instantly if there are any problems and dispatch our team to solve the issue immediately.